The Food and Drug Administration (FDA) finally released its finalized rules on menu labeling that include gas station/convenience stores under the regulations. The Association for Convenience & Fuel Retailing argued the regulations unfairly treat gas station/convenience stores as restaurants. The final regulations require caloric information to be listed on menus and menu boards in chain restaurants, similar retail food establishments and vending machines with 20 or more locations to provide consumers with more nutritional information about the foods they eat outside the home. The menu labeling final rule applies to restaurants and similar retail food establishments if they are part of a chain of 20 or more locations, doing business under the same name and offering for sale substantially the same menu items. Covered food establishments will be required to clearly and conspicuously display calorie information for standard items on menus and menu boards, next to the name or price of the item. Click for more details. Convenience store retailers and other businesses located in regions affected by the 2010 Gulf of Mexico oil spill are eligible for damage claims from the Deepwater Horizon Economic and Property Damages Settlement Agreement with BP plc. reached in 2014. The Supreme Court upheld the approval of BP's multibillion-dollar settlement with businesses and residents who claim the enormous oil spill cost them money. 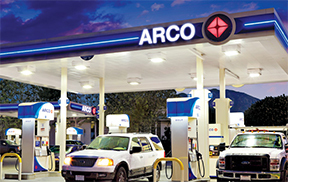 This ruling triggered the start of a six-month period during which affected c-store owners can file a claim, after which they forfeit any part of the settlement. Most business owners believe that for their claim to be successful, they must prove that any decline in revenue was caused solely by the oil spill, without taking into account the influence of the general state of the economy or pre-spill economic factors. In fact, settlement criteria is based on location, type of business and financial data instead of an analysis of a business' day-to-day issues. The San Francisco Board of Supervisors have approved the Tobacco Sales Reduction Act on Dec. 9, 2014, capping the number of tobacco-selling permits at 45 for each of the 11 supervisor districts in the city, according to the San Francisco Examiner. The legislation doesn't eliminate existing permits. Instead, through attrition, it is estimated that it will take 10 to 15 years to halve the nearly 1,000 tobacco permits in existence today. This initiative builds on San Francisco's longstanding movement to reduce smoking, such as by expanding areas where people cannot smoke, the newspaper reported. The permit restrictions apply to electronic cigarettes as well. ThE legislation also imposes new restrictions for when the city issues new permits to sell tobacco. Under the ordinance, no tobacco-selling business can operate within 500 feet of another one or a school. A new website focuses exclusively on gas station sales and related issues. Gas Station Nation addresses informational needs of both buyers and sellers throughout the United States. The website includes the article "Gas Station Broker to Broker" that addresses various legalities involved in gas station sales transactions.